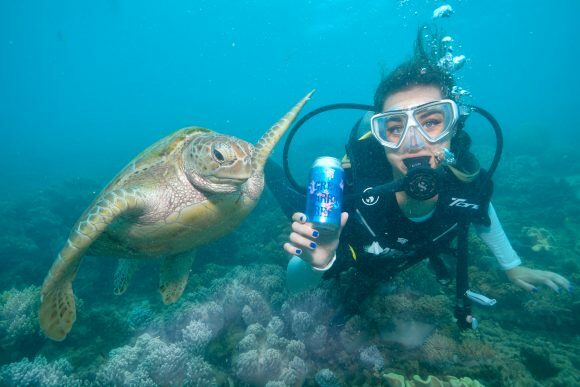 Beer and the Great Barrier Reef are two things most Australians treasure, which is why James Grugeon, founder of the Good Beer Company, created a tasty beer that’s also helping save the reef, writes Maggie Coggan in this month’s spotlight on social enterprise. Grugeon has worked in pretty much every area of the environment space there is. From running corporate social responsibility programs, to operating a charity – he’s done it. But before starting Good Beer Co. he felt his work wasn’t reaching a broad enough audience. “You can spend a lot of time talking to the same group of people if you’re not careful,” Grugeon says. He wanted to make a product that would start a conversation about serious social issues, engaging the people who might not be so inclined to go along to a protest or write to their local MP. “It doesn’t mean they don’t care, you’ve just got to find a way of having that conversation, even if it is because of something a bit unexpected,” he says. His experience in the sector had shown him that even seriously niche causes worked as social enterprises, so why wouldn’t something like beer (which people from all backgrounds could get around) work too? 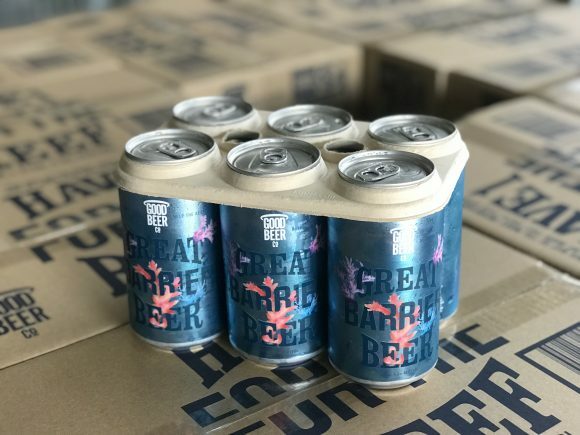 Three years later, and The Good Beer Co. has released two types of themed beer — The Great Barrier Beer (GBB), and Pail Tails, with 10 per cent of the profits going to the Australian Marine Conservation Society (AMCS) and the RSPCA. The Good Beer Co’s guiding principles are simple. Work with local, award-winning breweries to make beer people want to drink and then partner with retailers who can make them money to help charity partners who are making a difference on the issues they care about. As well as the monetary aspect, making the beer visible, means their message spreads further, and to more people. 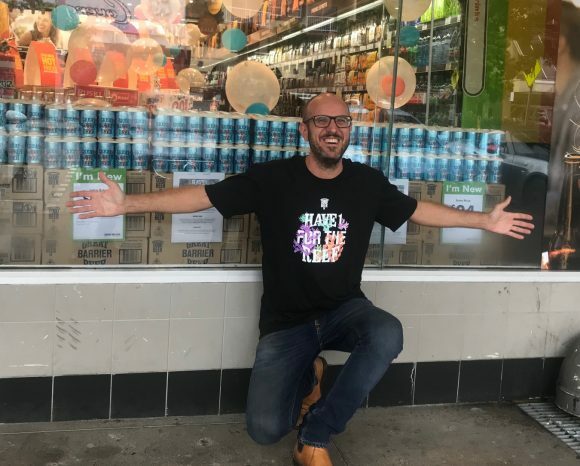 The GBB has particularly resonated with retail giants BWS and Dan Murphy, who are now stocking the beer across their stores in Queensland. Grugeon says this will mean tapping into a whole new demographic. “Fundamentally, how we’ll succeed is by being a decent sized company that’s selling a lot of beer. But also, it’s important that we create a conversation with a large group of people by them going into their local BWS or independent bottle shop, bar, or restaurant,” he says. Tourism and hospitality companies working in and around the reef have also started to jump on board, which Grugeon says makes the message of protecting the reef even more pertinent. 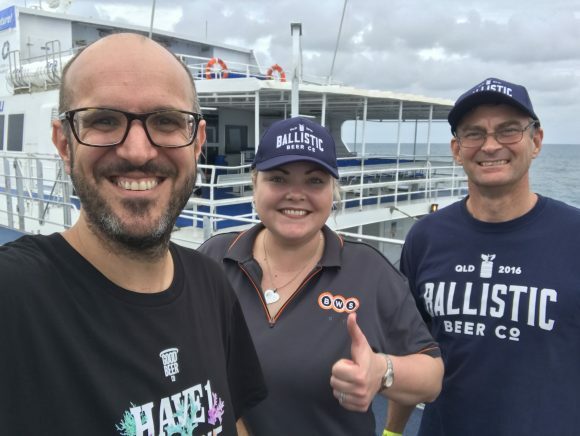 “There were 300 international and national tourists, who were taken out on a tourist boat last week to have a taste of the beer, and a chat about what the beer was for in terms of climate change and protecting the reef,” he says. While there are many conservation issues he could have focused his energy on, Grugeon says protecting the Great Barrier Reef was an issue of preserving part of Australia’s identity. “Most Aussie’s see the reef as part of our national identity, a national icon, and they don’t think enough is being done to protect it,” he explains. “On a more personal note, I’ve always wanted to do something to protect it, because I love it. I was up there last weekend, snorkelling and scuba diving and there’s just nothing else like it in the world. He also said it was important Good Beer Co’s big corporate partnership’s made an effort to support their purpose-led work. 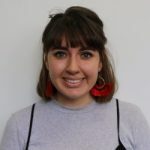 “It’s really important BWS and Dan Murphy’s are engaged with us on sustainability, but they haven’t shied away at all from what their partnership with us supports, which is calling for urgent action on climate change and pollution,” he explains. The year ahead holds big things for Good Beer Co. While they are already using biodegradable, marine-friendly packaging, they are looking to go completely carbon neutral. “We’re working with Woolworths group, the Independent Brewers Association and a bunch of independent brewers in Australia to speed up the transformation from plastic to biodegradable packaging,” Grugeon says. Like many environmentalists, Grugeon manages to remain mostly positive about the future for the planet and the reef, although at times he explains, it does get to him. “It’s been something that has kept me awake worrying at times, particularly when I was running the charity. You’re so immersed in the science of it, and the terrifying things the experts had to say, there were times when I definitely felt it was too difficult,” he says. He’s found positivity through the business sector’s increased interest in operating for purpose, and the rise in consumer demand for products and services to have a positive impact on the world. “Over the last 10 years, the business community has really gotten engaged, which is very positive. Of course, there’s still a lot more to be achieved, [but] consumers who are much more interested in where products and services are coming from are definitely making difference,” he explains. The dream for Grugeon and the Good Beer Co, isn’t without bumps, but he feels it’s within reach. “I’ve made a lot of mistakes and faced a few challenges, as someone new coming into the beer sector, trying to find the right brewery partners, and charity and retail partners, but I really think we’re at the stage now we can take off,” he says. To find out more about Good Beer Co, or sample their beer, head to their website here.